Cairo,Egypt; During the 11th African Congress for Women Entrepreneurs, Professor Frank Stangenberg–Haverkamp, Chairman of Executive Board and Family Board of E. Merck KGaA received the “African Alliances He for She Award” for Women Empowerment. 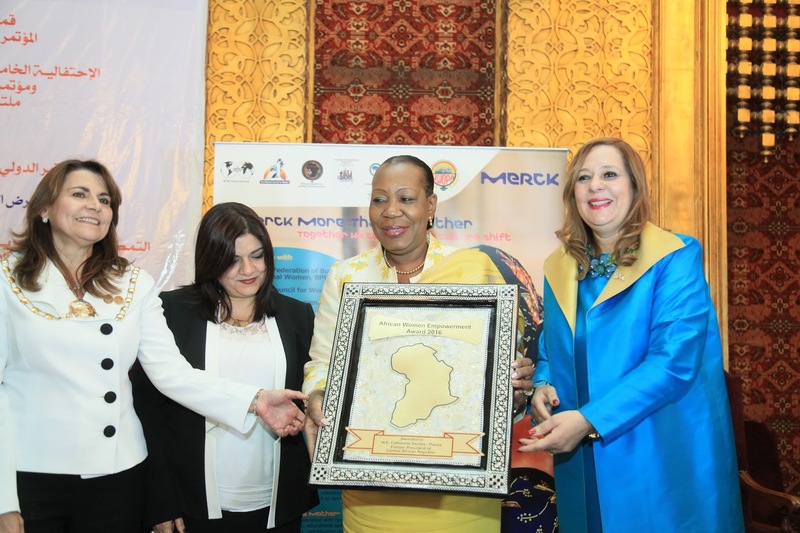 This was in recognition of Merck’s efforts to empower women in the field of research and healthcare through the Merck Capacity Advancement Program and UNESCO – Merck Africa Research Summit. The award also recognizes Merck’s significant contribution to empower infertile women in Africa through the ‘Merck More than a Mother’ campaign. Prof.	Frank	Stangenberg- Haverkamp	receives	“HE	for	SHE	award	for	women	empowerment,”	Dr.	Amany	Asfur	President	of	African	Alliances	of	Women	Empowerment,	Dr.	Yasmin	Darwish	President	of	BPW	International	and Dr.	Rasha	Kelej	Chief	Social Officer	of	Merck Healthcare. “Through the ‘Merck more than a Mother’ campaign we started an important project called ‘Empowering Berna.’ The project seeks to help infertile women, who cannot have children anymore, start their own businesses and build their independent and happier lives. 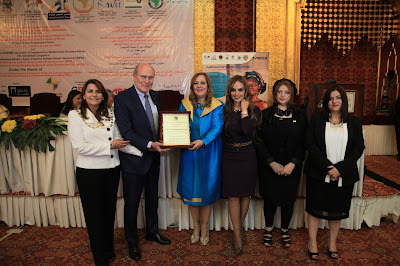 I am very passionate about this project and I will follow it up by myself with women organizations across Africa.” mentioned Dr. Rasha Kelej, Chief Social Officer of Merck Healthcare. 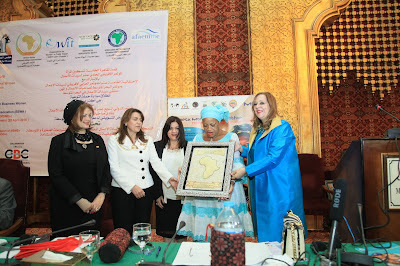 (L-R):	Dr.	Rasha	Kelej, Qedani	Dorothy	Mahlangu,	MEC Health	Gauteng	Government,	South	Africa, Hon. Sarah	Opendi	Minister	of	Health	of	Uganda,	Prof.	Frank	Stangenberg	Haverkamp,	Chair	of	Merck	Executive	and	Family	Boards. The “African Alliances He for She Award” award also recognizes the UNESCO- Merck Africa Research Summit- MARS’s new initiative to empower African women researchers. The initiative is very critical for Africa’s future, and its social and economic development, which cannot be achieved except with the economic empowerment of women and youth. During the same conference, the African Women Empowerment Award was granted to H.E. Samba-Panza, Former President of Central African Republic and H.E. Prof. Ellen Johnson-Sirleaf, President of Liberia, who was represented by H.E. Julia Duncan-Cassell Liberian Minister of Gender. During the African conference for women entrepreneurs, a high level panel of Merck More Than a Mother was conducted during which, Hon. Sarah Opendi the Ugandan Minister of Health, Hon. Jean Kalilani the Malawian Minister of Gender, Children, Disability and Social Welfare, Hon. Julia Duncan-Cassell the Liberian Minister of Gender and social affairs, Hon. Dr. Lanre Tejuoso the Nigerian Chairman Senate Committee on Health, Hon. Qedani Dorothy Mahlangu MEC Health Gauteng Government, South Africa, and parliamentarian members and academics from Uganda, Kenya, Angola, Mozambique, Tanzania, Nigeria and Ivory Coast, discussed Merck More Than a Mother objectives and intervention across Africa and a commitment was made to kick off the campaign in each country during 2016 and 2017. (L-R)	Prof.	Oladapo	Ashiru-President	of	Africa	Fertility	Society,	Hon. Joyce	Lay-Member	of	Parliament,	Taita-Taveta	County,	Kenya,	Hon. Dr.	Lanre	Tejuoso	– Chairman	Senate	Committee	on	Health,	Senate	of	the	Federal	Republic	of	Nigeria,	H.E. 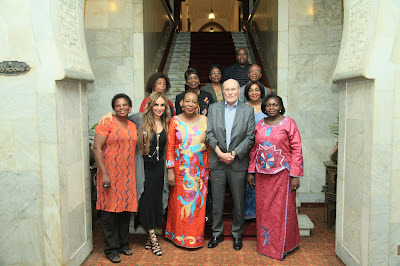 Julia	Duncan-Cassell	-Minister	of	Gender,	Liberia,	Prof.	Dr.	Frank	Stangenberg-Haverkamp-Merck	Family	Member	and	Chair	Executive	Board	and	Family	Board	of	Merck and	H.E. Hon	Sarah	Opendi -Minister	of	State	of	Health	of	Uganda. (L-R)	Prof.	Oladapo	Ashiru- President	of	Africa	Fertility	Society,	Hon. Joyce	Lay-Member	of	Parliament,	Taita-Taveta	County,	Kenya,	Hon. Dr.	Lanre	Tejuoso-Chairman	Senate	Committee	on	Health,	Senate	of	the	Federal	Republic	of	Nigeria,	H.E. 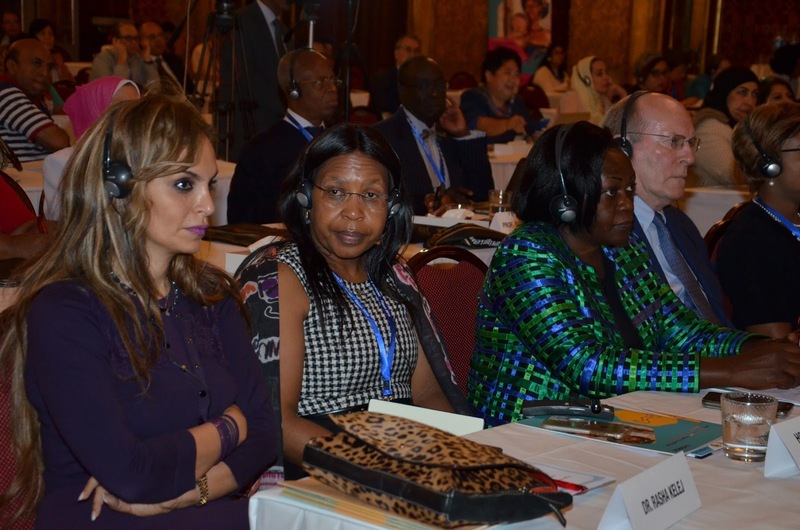 Julia	Duncan-Cassell	– Minister	of	Gender,	Liberia,	Dr.	Rasha	Kelej- Chief	Social	Officer-Vice	President,	Merck	Healthcare,	Chair	of	Health	Committee,	BPW-Egypt	and	African	Alliance	for	Women	Empowerment. Hon. Joyce	Lay	Member	of	Parliament,	Taita-Taveta	County,	Kenya Hon. Merck is a leading science and technology company in healthcare, life science and performance materials. Around 40,000 employees work to further develop technologies that improve and enhance life – from biopharmaceutical therapies to treat cancer or multiple sclerosis, cutting-edge systems for scientific research and production, to liquid crystals for smartphones and LCD televisions. In 2014, Merck generated sales of € 11.3 billion in 66 countries. Founded in 1668, Merck is the world’s oldest pharmaceutical and chemical company. The founding family remains the majority owner of the publicly listed corporate group. Merck, Darmstadt, Germany holds the global rights to the Merck name and brand. The only exceptions are the United States and Canada, where the company operates as EMD Serono, EMD Millipore and EMD Performance Materials. 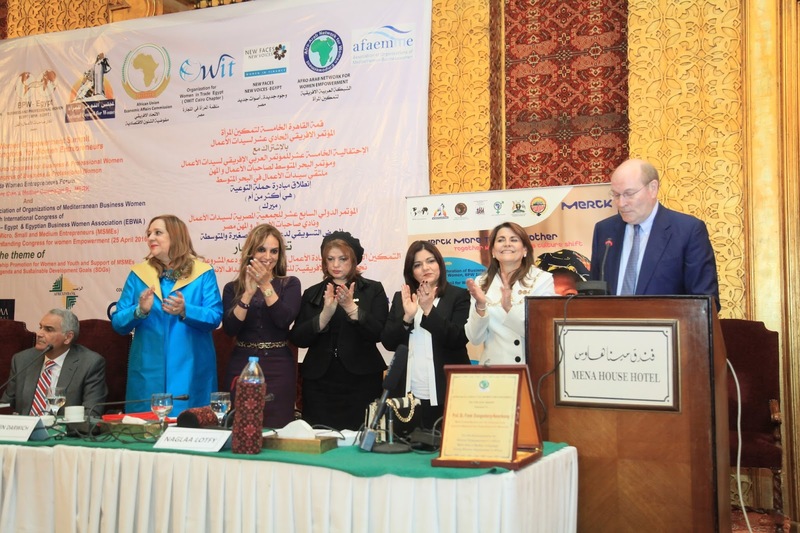 African Alliance for Women Empowerment was established in 2006 with focal points across Africa with the main objective of Empowering Women of Africa to Meet the Millennium Development Goals (MDGs). This is through economic, political and social empowerment of Women.